Prime Minister Narendra Modi officially declared open the much-awaited Kollam bypass on National Highway-66 on Tuesday. 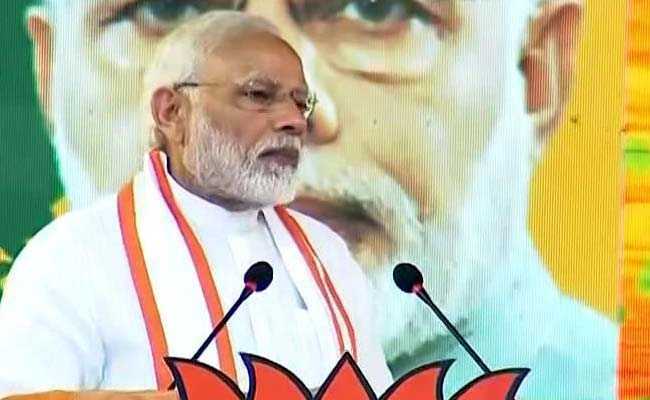 Dedicating the bypass to the nation, PM Modi said only 56 per cent of the rural habitat was connected with roads in the country when he came to power in 2014. The prime minister said foreign tourist arrivals went up in the country from 70 lakh in 2013 to one crore in 2017, adding that foreign exchange earned due to tourism went up from USD 18 billion to USD 27 billion in the said period. PM Modi's first visit to the district was in December 2015, when he had unveiled the statue of former Kerala chief minister R Sankar. PM Modi, who earlier arrived at Thiruvananthapuram in a special plane, was welcomed by Kerala Governor Justice (retd) P Sathasivam, Vijayan, officials and other leaders.